This entry was posted on 24 January, 2010 at 12:48 and is filed under ABBA, History, Ian. You can follow any responses to this entry through the RSS 2.0 feed. You can leave a response, or trackback from your own site. OMG, you have just described my life at 10 years old! May the music still go on. 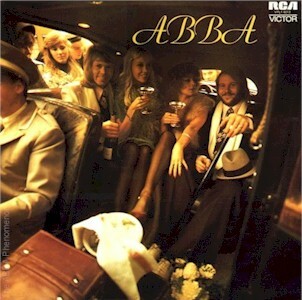 I love remembering first memories and feelings of ABBA and ABBA-esque things, too. My my sunny-day feeling usually comes when I play the ‘Voulez Vous’ album, and fun trips up to Palm Beach, Pittwater and Scotland Island when I was 14 with my family. I love the ‘soul’ sound behind ‘Hey Hey Helen’ (I don’t think it’s ever been mentioned of ABBA having touched the ‘soul’ genre, but I think the music and arrangements in this, and ‘My Mama Said’, are quite sassy and cool… I’m sure the music for both would be classified as ‘soul’?!). I’ve also always loved ‘Bang-A-Boomerang’, and it’s video is one of their happiest… I think it’s the ABBA video I love the best.